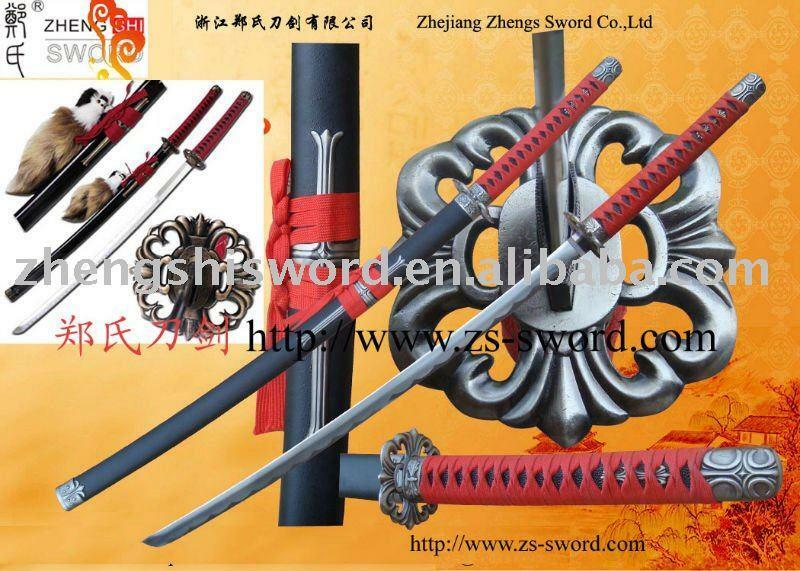 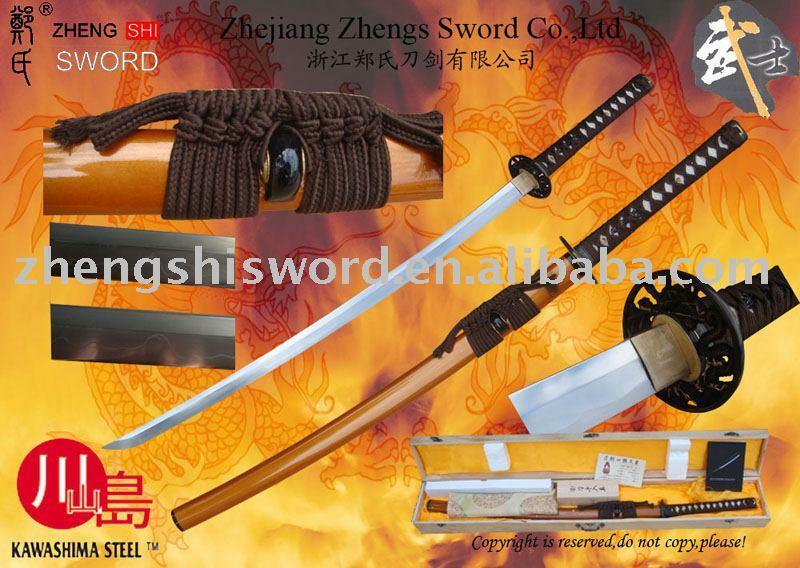 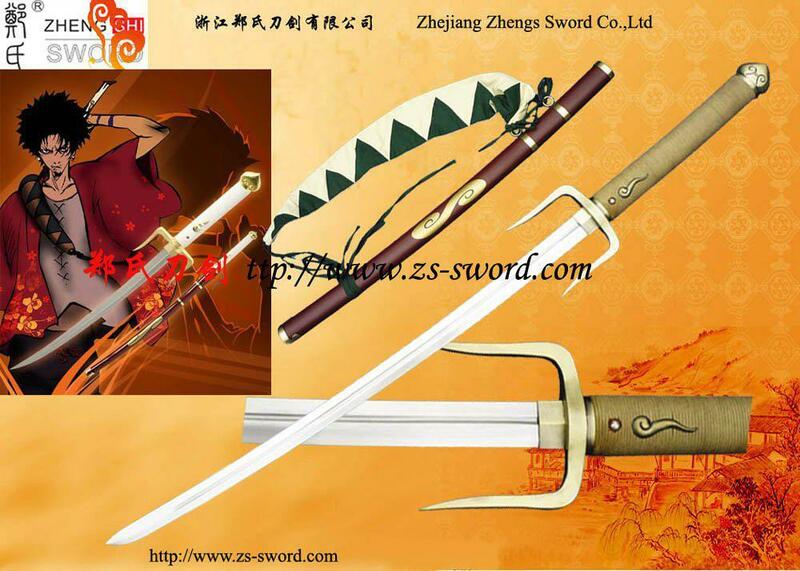 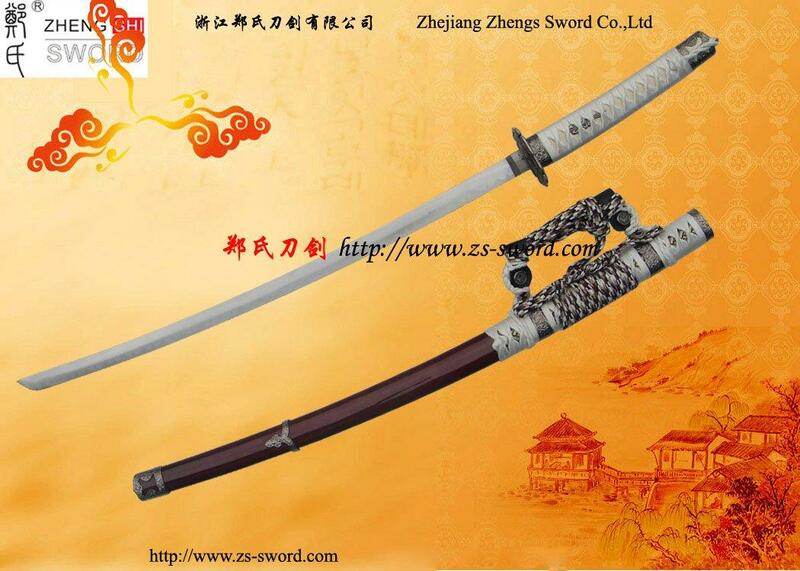 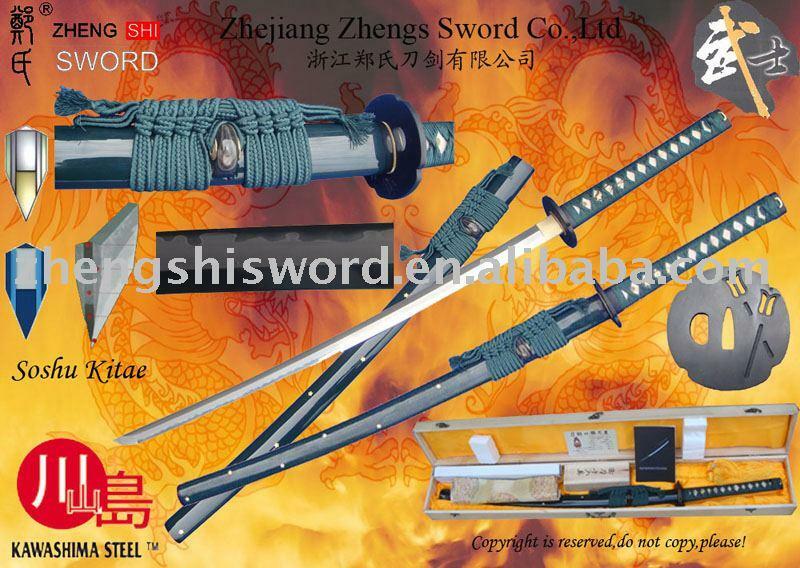 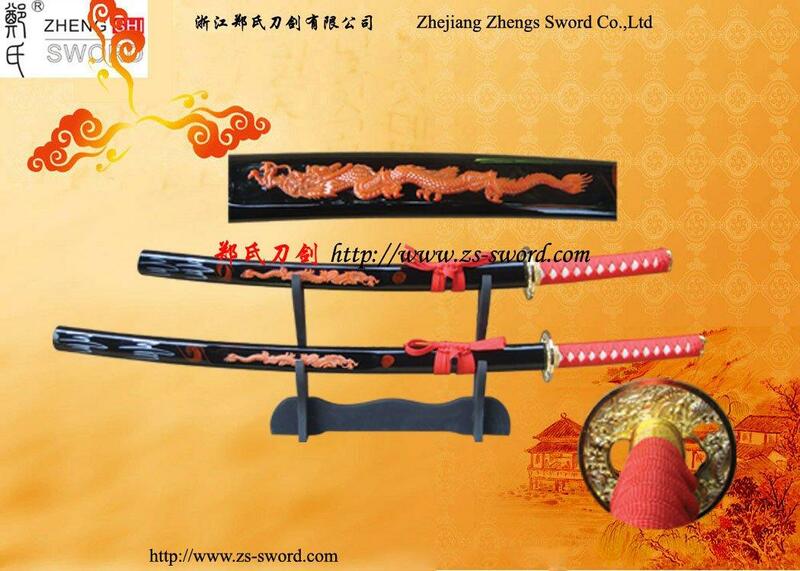 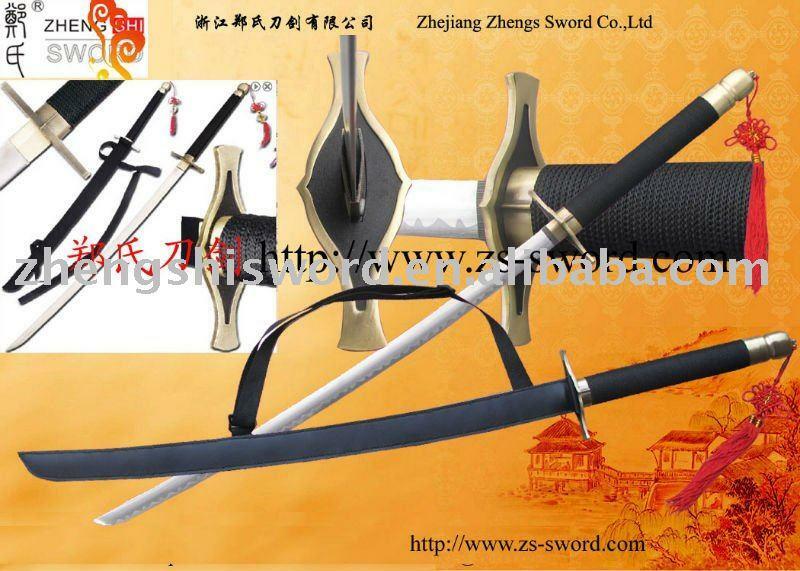 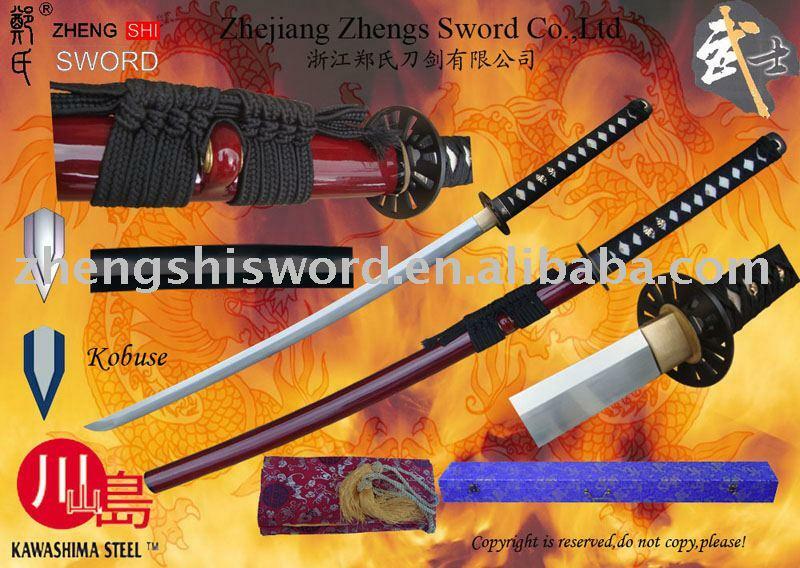 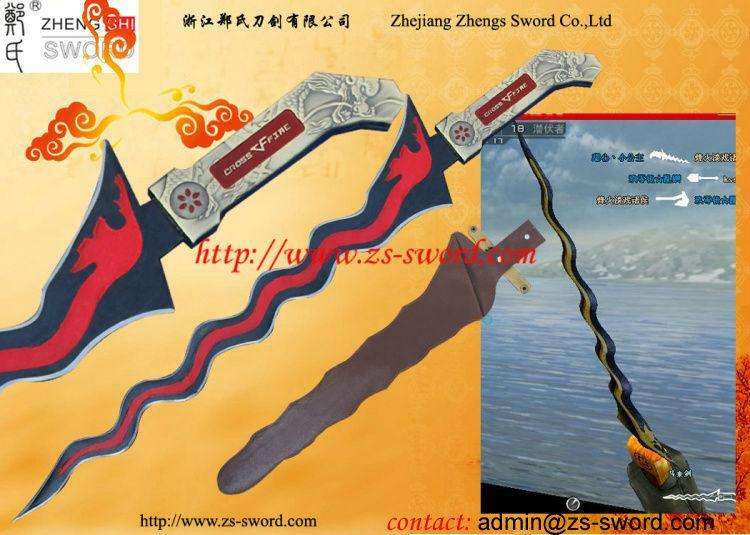 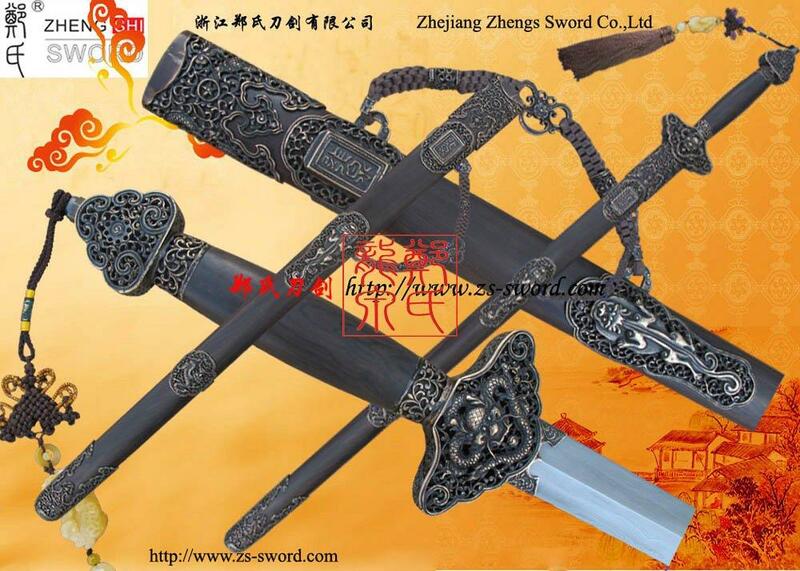 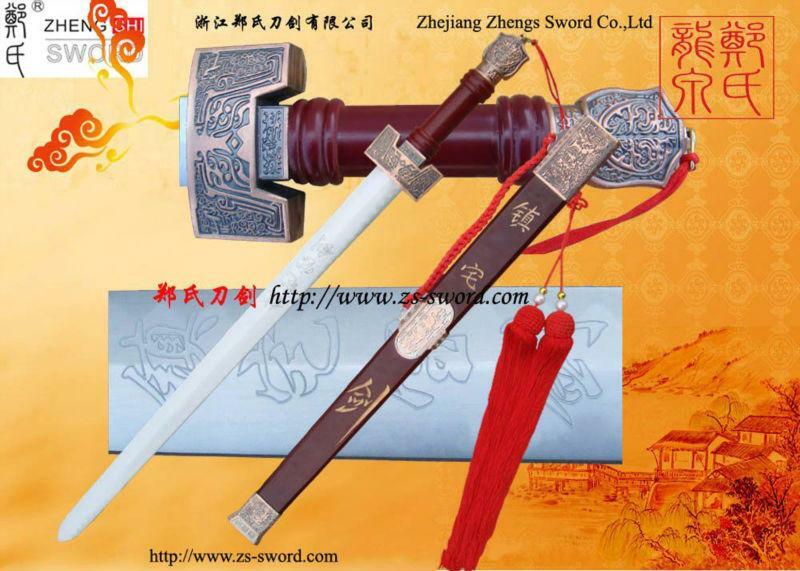 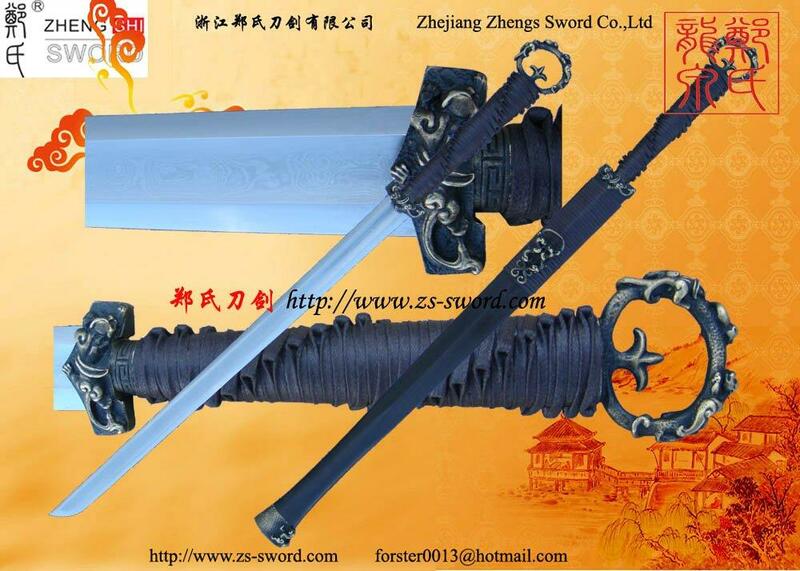 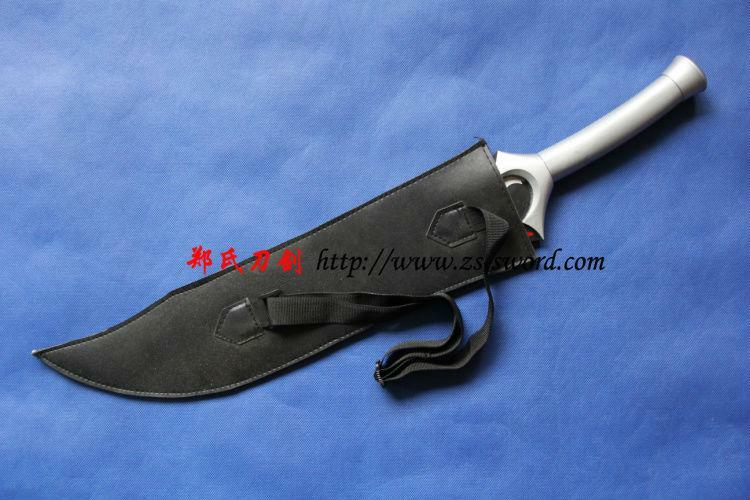 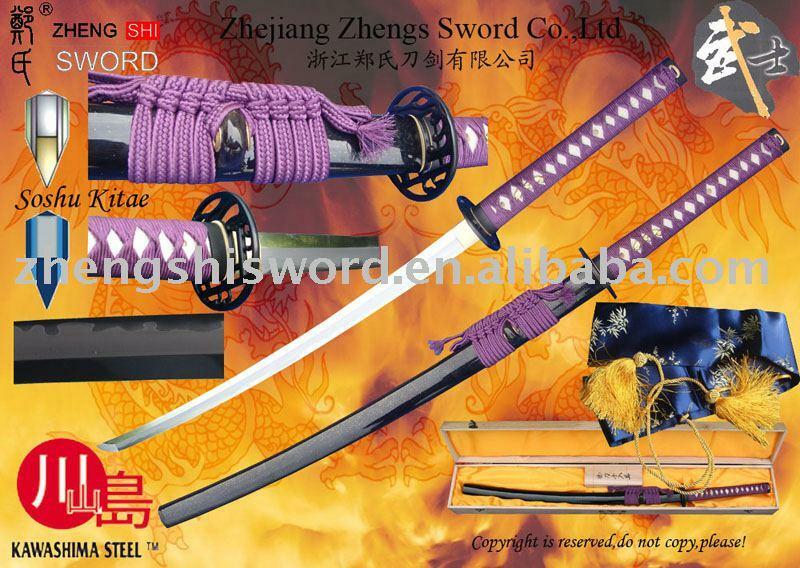 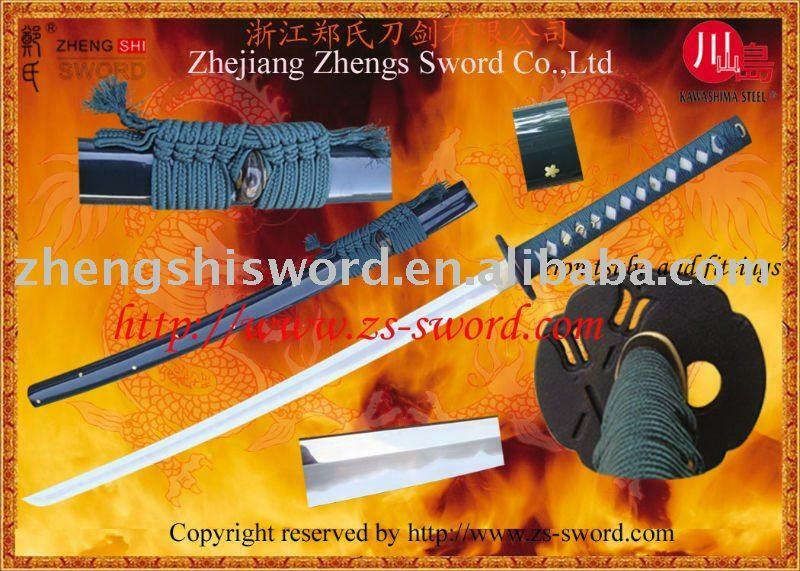 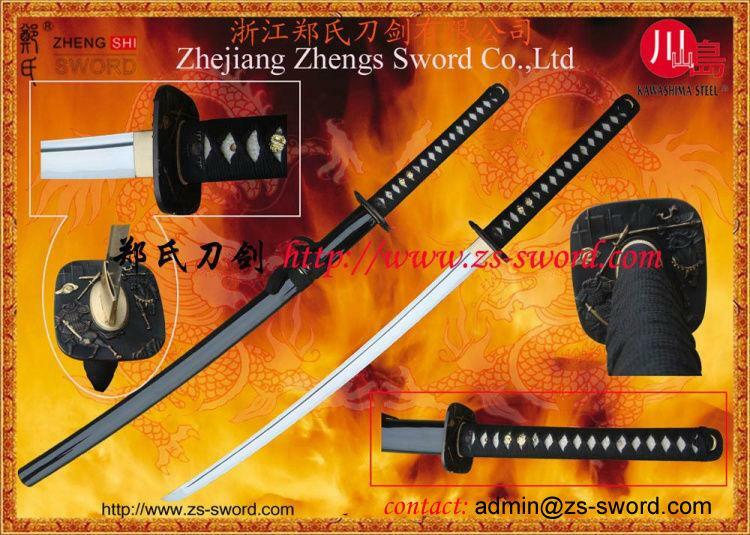 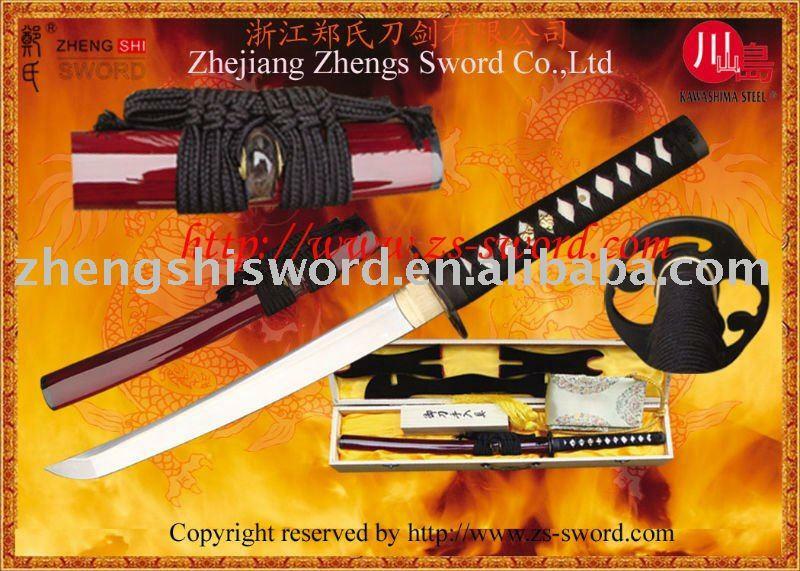 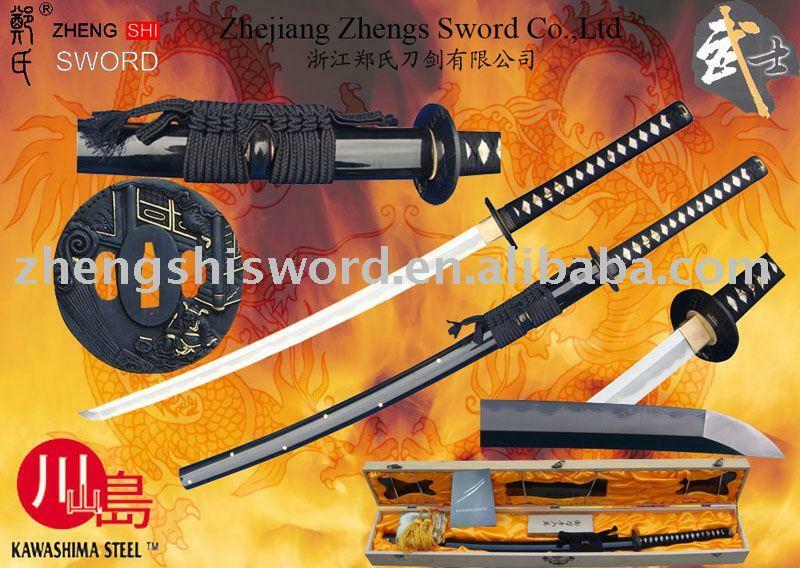 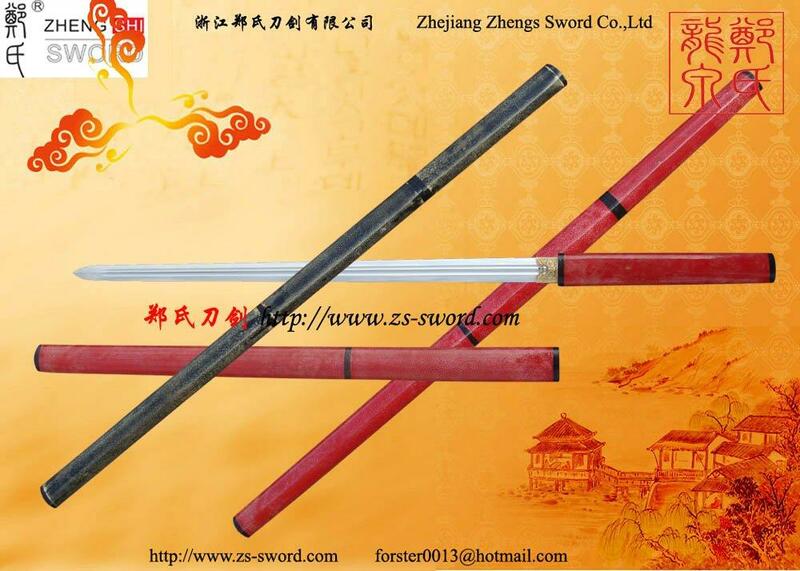 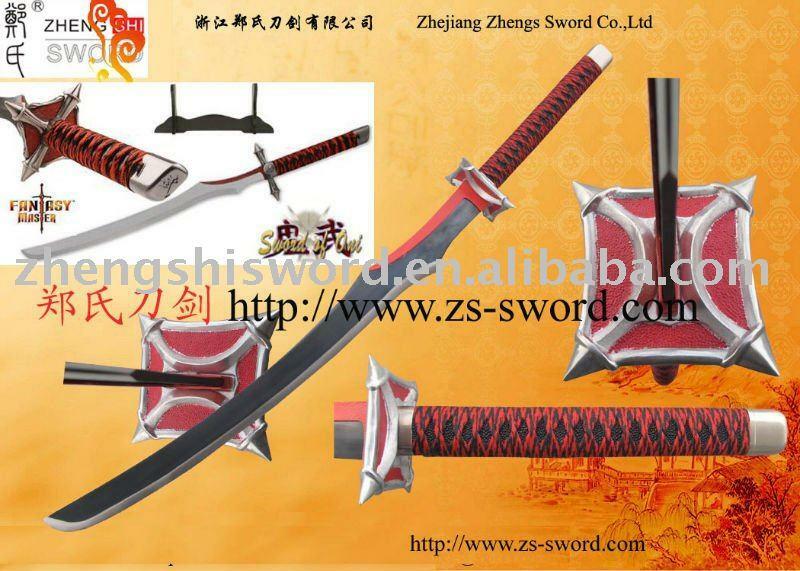 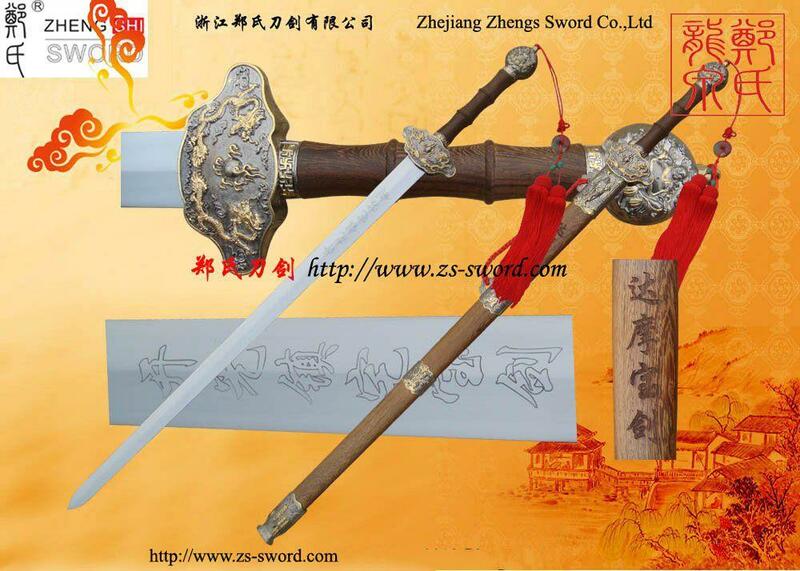 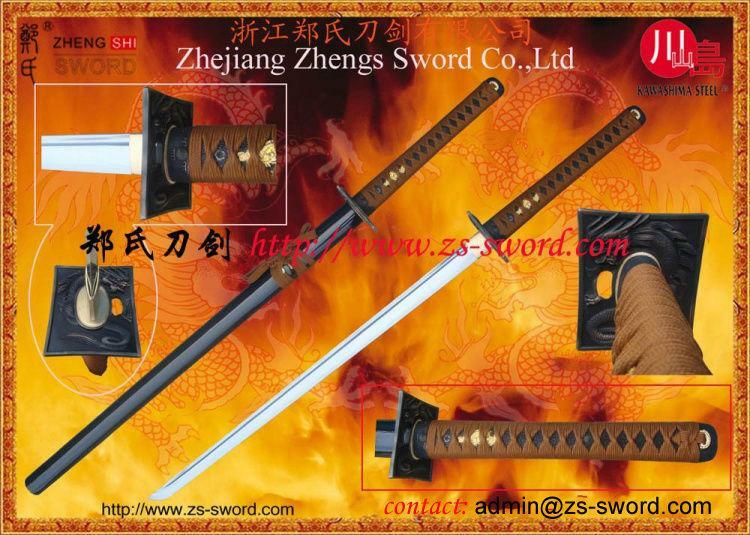 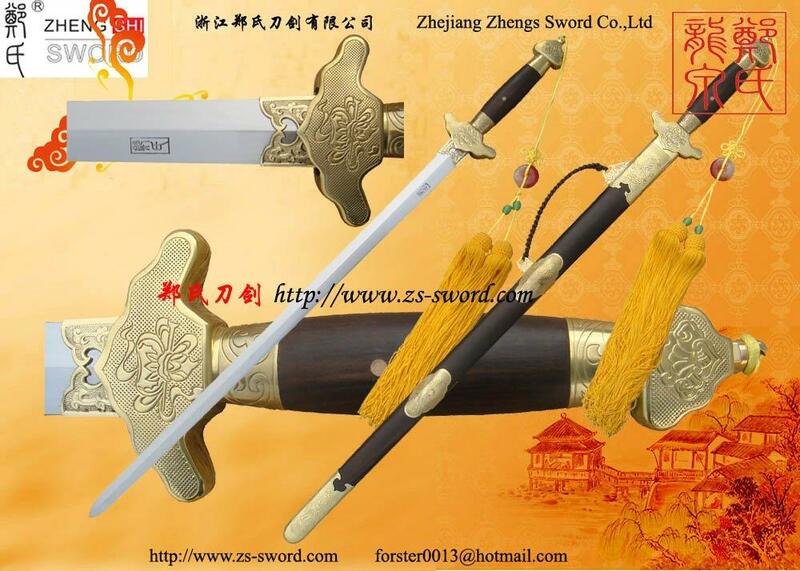 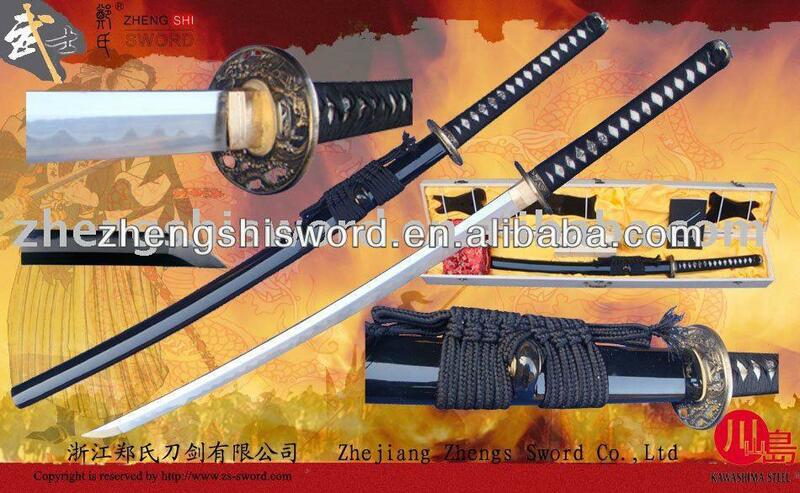 This katana is an exact imitation from the cartoon movie,It comes with steel blade that is good for the fans and collectors. 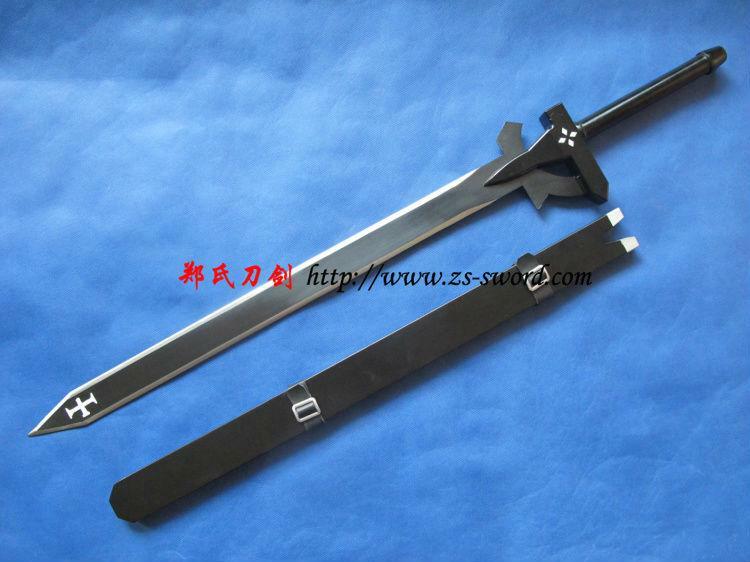 Ninja Gaiden (NINJA ) is a series of video games by Tecmo featuring the ninja Ryu Hayabusa as its protagonist. 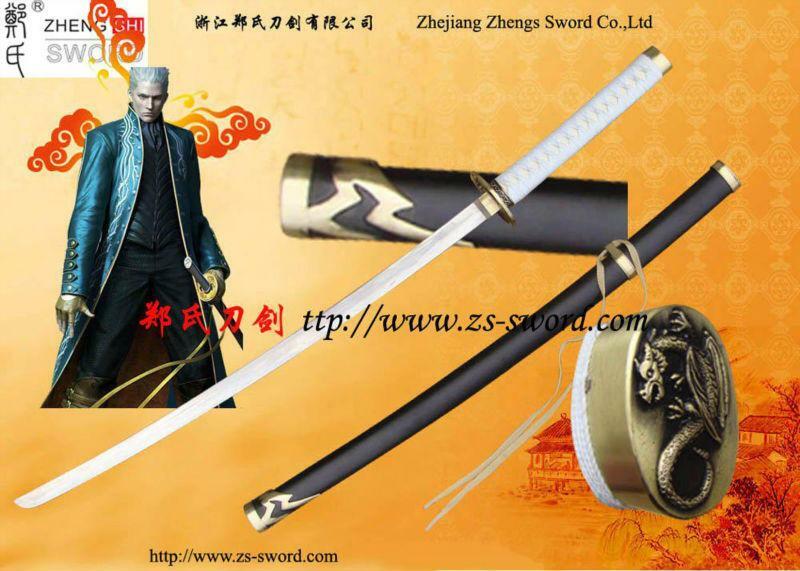 The series was originally known as Ninja Ryukenden (, Ninja Ryukenden?, lit. 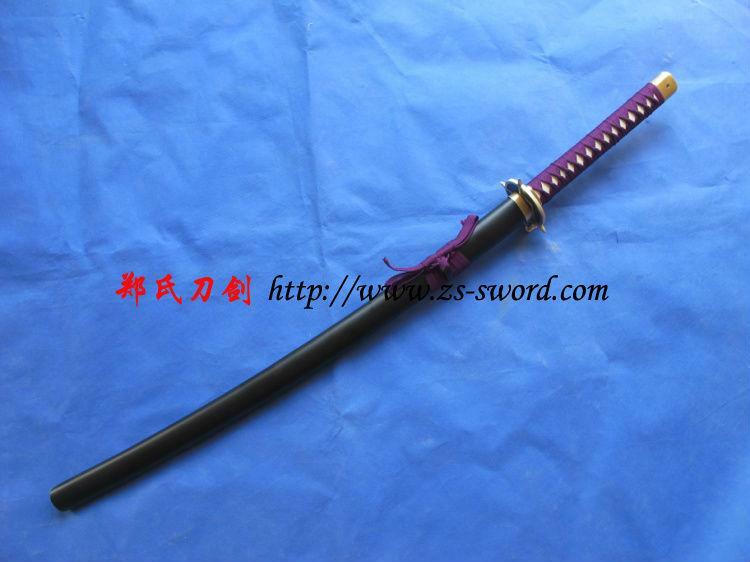 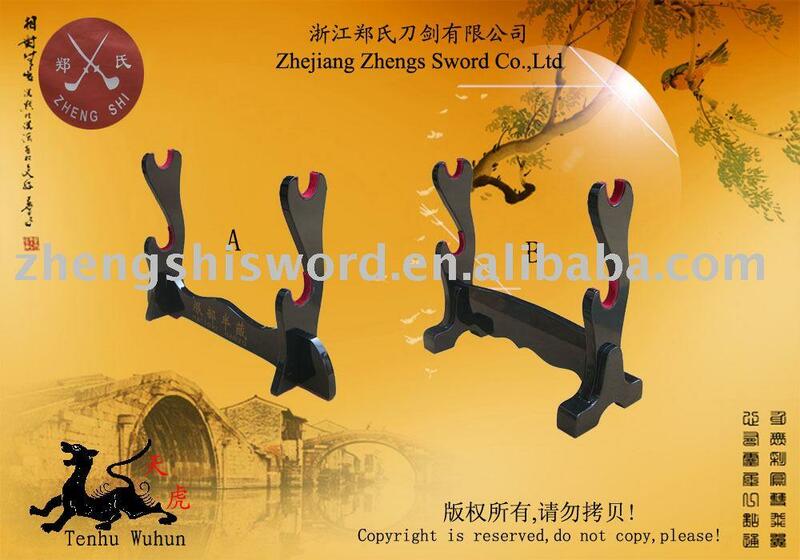 "Legend of the Ninja Dragon Sword") in Japan. 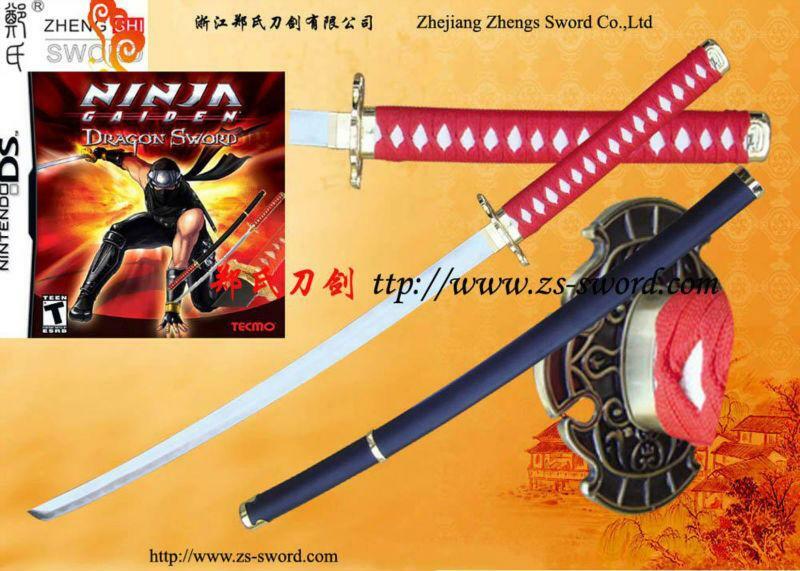 The word "Gaiden" in the North American Ninja Gaiden title means "side-story" in Japanese, even though the Ninja Gaiden series is not a spinoff of a previous series. 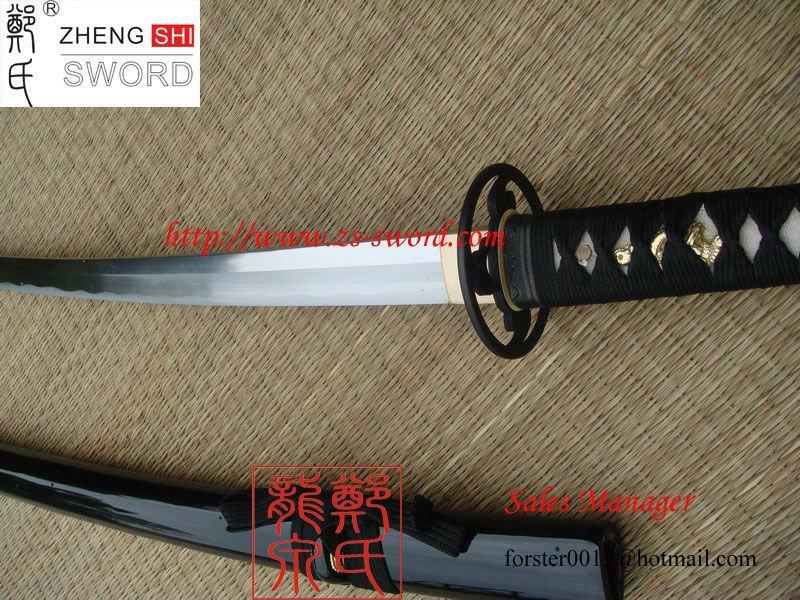 The original arcade version and first two NES games were released as Shadow Warriors in the PAL region.